The drug is available in the form of coated tablets, capsules. 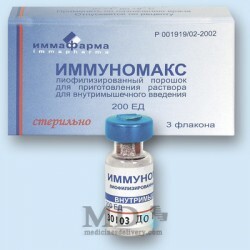 The drug has protivogrippoznoe and immunostimulatory effects, inhibits influenza A and B. 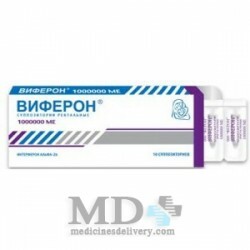 It has the properties of interferon, promotes the stimulation of cellular and humoral immune responses, phagocytic function of macrophages, increase the body's resistance to viral infections. With arbidola postgrippoznyh prevent the occurrence of complications, reduces the incidence of chronic diseases pits, there is a normalization of immunological parameters. Antiviral activity is determined that the virus lipid envelope is not combined with the cell membrane by contacting the virus with the cell. The therapeutic efficacy of the flu seen by shortening the periods of fever, reduce the severity of intoxication and catarrhal symptoms and duration of illness. The drug has low toxicity. Not adversely affect the body in the case of oral use in correct dose. 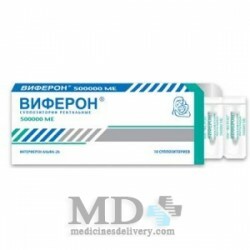 Arbidol used for the treatment and prevention of influenza A and B viral respiratory infections, secondary immunodeficiency states, in the treatment of pneumonia, chronic bronchitis, recurrent herpes infection. It is also used for the prevention of postoperative infectious complications, to bring back to normal immune status in adults. Do not take the case of hypersensitivity, as well as children up to two years. Among the side effects observed allergic reactions. Arbidol taken orally before meals. In order to prevent non-specific: when in contact with patients with influenza and other viral respiratory infections: children from three to six years - 50 mg, from six to twelve - 100 mg, after twelve years of age and adults - 200 mg once a day for ten to fourteen days , during the epidemic of influenza and other viral respiratory infections, to prevent exacerbation of chronic bronchitis: for children from three to six years - 50 mg, from six to twelve - 100 mg, after twelve years of age and for adults - 200 mg twice a week for three weeks. In order to treat influenza, SARS without the presence of other complications: children from three to six years - 50 mg, from six to twelve years - 100 mg, after twelve years of age and adults - 200 mg four times a day (every six hours) for five days, flu and other viral respiratory infections with complications: children from three to six years - 50 mg, from six to twelve - 100 mg, after twelve years of age and adults - 200 mg three times daily for five days followed by a single dose of one once a week for three to four weeks. In the complex treatment of herpes infections, chronic bronchitis: children from three to six years - 50 mg, from six to twelve years - 100 mg once a day or once every three day, for children after the age of twelve and adults - 100 mg three times a day for three to four weeks. In difficult cases: children from three to six years - 50 mg, from six to twelve years - 100 mg, after twelve and adults - 200 mg three times a day for five days, followed by a single dose twice a week for three or four weeks. To prevent postoperative complications adults take 200 mg for two days before surgery, then 200 mg of the second and the fifth day after the operation. For the drug is not typical of central neurotrophic activity. Arbidol can be used to prevent healthy individuals from a variety of professions, including those that require increased coordination and concentration. If used arbidol with other drugs, adverse effects were observed.